In the last few weeks I’ve been able to get a grip on what I believe is the answer to winning in the current Standard format. I’m going to walk through some of that today as well as expand upon my ideas for Modern and Legacy. After the last article I wrote there were a lot of requests for more information about the Eternal formats, and I think there’s still much to discuss despite some elements of “being broken”. Plus, I have some sweet decklists to share that I hope you all enjoy. 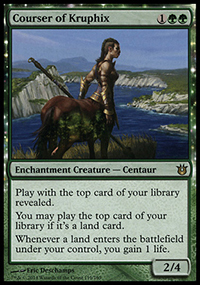 Turn 1: Unless you are playing Boss Sligh, Elvish Mystic, or a two-color deck, you should be leading with a tapland. Three/Four color decks that are trying to play Thoughtseize maindeck on turn 1 or one-drop creatures are making a huge mistake by not advancing the game plan for turns 2-5. Elvish Mystic lets you jump tempo, but in three color decks it also requires that your manabase is greedier. 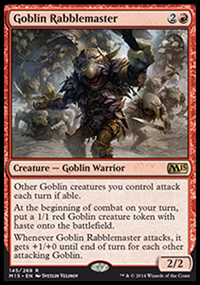 In order to hit all three colors or ramp into something other than say, Goblin Rabblemaster, you’ll need to play more painlands to accommodate. 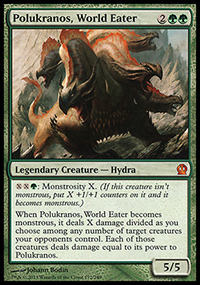 Temur does this, and due to its raw aggression on the next few turns it’s successfully able to do that, but it comes at the cost of precious life which can be huge in some matchups. This is one of the reasons Brian Kibler was kept out of the Top 8 at Grand Prix L.A. He later fixed the issue with better sideboarding for Aggro decks, but that still isn’t the complete answer since the same manabase largely is required. All of the above cards are either threats that create issues immediately or setup cards for later turns. These are the pillar two drops of Standard and I occasionally see people cutting some of them from their list or deciding to not run them at all. While you may not want to always cast each one of them on turn 2 it doesn’t change the fact that by not playing cards like this you give up a lot of tempo. I’ve personally playtested with a lot of lists that have more of a control role, and it’s easy to get punished in this format for just sitting back. Even if you’re trying to play a burn style deck, you have to have follow up with plays that can end the game. It’s one of the reasons that you need both the presence spells as well as the reactionary spells. Thus, in addition to these guys, you should also have a playset of a reactionary card such as Bile Blight, Lightning Strike, God’s Willing (lumping it in this category), etc. I often find many games are won by allowing your opponent to play their expected card, removing it, and then playing the equivalent or the next card up on the casting cost chain. This is the key to keeping the tempo pushed, and if you can do this on every turn or every other turn it’s pretty hard to lose a game in this format. Don’t be the first to jump the gun unless you are playing against a pure Control deck. Like the two drops, these are all threats that end games on their own. Courser is a little different in how he achieves the result, but the amount of lifegain his ability adds up to in the typical game is often the difference in winning and losing for his respective archetypes, so he’s equally important to kill. The reactionary cards here would be Crackling Doom, Hero’s Downfall, all the charms, Banishing Light, Arc Lightning, etc. The two drop removal is more important IMO because often you’ll play them on turn three to trigger prowess or jump tempo by playing more two drop removal than three, but all of the three drop removal presented here are hard answers to just about everything that exists, and that’s crucial in its own right. The four drops here are all virtually impossible to deal with set aside select spot removal spells. Siege Rhino is obviously the worst offender and the biggest reason why Abzan is the top tribe at the moment, but all of these cards are deadly. It’s fairly obvious with the four spot why it’s so important, and why cutting any of these cards from your list is wrong. 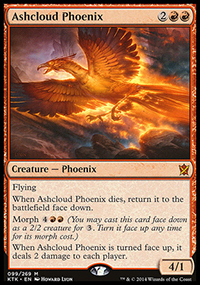 Many people don’t like to give Ashcloud Phoenix any love, but its quickly become one of my all-time favorite Red cards. Killing a Phoenix outside of cards like Abzan Charm, Utter End, or Banishing Light is quite difficult, and against most decks he often forces 2-for-1 trades, unmorphs for value, or simply flies in on multiple trips for the eventual lethal blow. Even just using him to stall an Aggro deck’s gameplan is a valid route, and oftentimes a problem they cannot resolve. 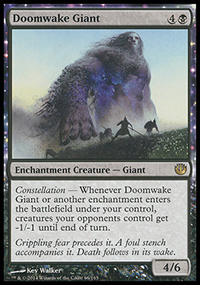 The reactionary cards on four are less available or necessary since most of your tempo is going to be devoted lower, but cards such as Utter End, Stoke the Flames, and Silence the Believers can still add dimensions to your deck. Stoke the Flames in particular was a card I recently added to my Mardu list that completely changed my win percentage. I was having a lot of trouble winning consistently against Jeskai with Brad Nelson’s old build (with Hordeling Outbursts), and as soon as I copied Jeskai’s burn suite but had better creatures and walkers than they did, the tide shifted dramatically. It also helped me across the board, allowing my Mardu deck to be a straight burn deck in a large percentage of games. If your opponent doesn’t play something you can react to, especially post board, you often just play as a Burn/Control deck and force them into a point in the midgame where they have to make terrible decisions. By the time the opponent catches on to what is happening, it’s usually too late. The above, and a few others in Standard, represent the end game. All of these cards either win on the spot, kill creatures, or provide a bonus to your entire team that is near impossible to fight through. I have no problem maxing out on the five drop assuming you’re running a 24-26 land build as you’ll regularly be able to cast these and if the rest of your deck is pushing tempo you should be able to use these creatures as they were appropriately designed. The reactionary cards on five aren’t usually ones you’d cast at five mana, but I’d still consider Murderous Cut, Boon Satyr and Herald of Torment as Bestows, and things of that nature in this classification. They’re far less important to have, and as such I don’t think they’re completely necessary, but all of them function as fantastic misers. Bottom Line: Standard is won by tempo. 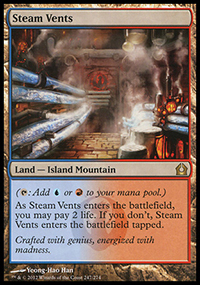 Use playsets of each category at each mana cost, or double up on certain areas, and your deck will be consistent and competitive. 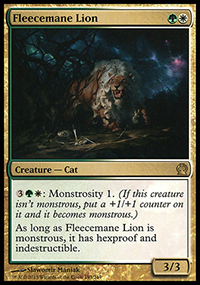 Shaving numbers in this range is only going to increase your variance and not allow you to respond with what is fairly stock at this point in Standard. The outliers would be Control and Sultai decks, where the gameplans are completely different. 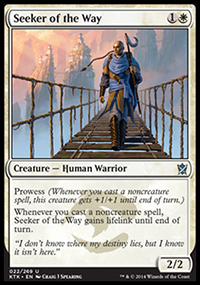 Control is simply trying to have answers to the conceivable threats, while Sultai is playing cards that trump the majority and attempting to setup an inevitable victory through their long game. 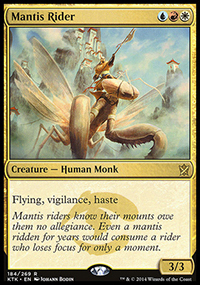 Sultai is especially strong in this respect because cards like Whip of Erebos and Hornet Queen require specific answers which are generally not in most maindecks and this can often create an auto-win in those scenarios. If I were to make any changes for tomorrow it would only be to potentially cut a Lightning Strike, Seeker of the Way, and/or Stoke the Flames for some number of Bile Blights so as to have maindeck outs for Hornet Queen. That said, removing those cards is not great for the deck overall, so unless Sultai is a major player in the game the above should suffice and is excellent. I’m rarely confident in my decklists, despite brewing and practicing for hours a day, but at the current moment I’m happy with them in every format. Abzan: Abzan’s a deck that has a better end game and can topdeck very well. The way I’ve beat it consistently is to play a control role like them but also bring in trump cards. Thoughtseize is very important post-board despite many players thinking it’s wise to take it out in Midrange matchups. The theory there is that since there is redundancy and great topdeck ability that Thoughtseize just takes one threat and you get killed by another. That’s not untrue, but in this case, you’re often taking a Planeswalker or Removal spell. 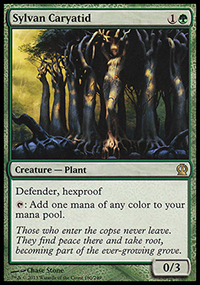 This allows you to curve into End Hostilities or other removal spells and then drop your threats unabated. To further cement the ability to handle their topdecks, you’re bringing in better removal in the form of Utter End, Erase (Courser, Whip, etc), and Murderous Cut. Usually you can cut your small creatures or small burn, typically a combination depending on what you see from them. If they are on the Fleecemain plan, then Lightning Strike is still valuable, but Magma Jet isn’t other than its filtering capabilities. 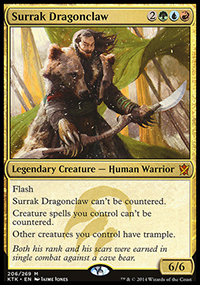 You may just want to cut all creatures in some scenarios, which allows you to basically play Mardu Planeswalkers and follow up your wraths with Sorin and Sarkhan. Butcher can also be a good followup in these same scenarios. Don’t be afraid to keep in some small creatures as all of them are capable of pushing tempo, just as long as you know from your opening hand or soon into it whether or not you’re going to need to go the End Hostilities route. If so, you’ll need to sandbag as best as possible. Jeskai: The Jeskai matchup is very easy most of the time. Since I made the changes to my list, I still have yet to lose to it, and often not many close games. If you’re on the play you can jam Seeker and force them to deal with it, along with if you’re on the draw and they do not have a turn 2 Seeker of their own. Otherwise, besides that crucial facet, you just sit back and wait for them to play stuff, burning them on their end step if you have enough excess burn and their hand is slow. This also applies if they are waiting themselves for you to play things. You’re late game is better than theirs, with the only threat of theirs being Dig Through Time, so you can hang in that race. 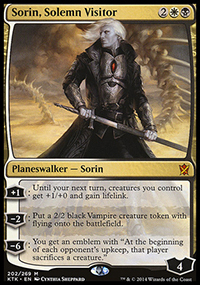 If you have an opening to play a turn 4 Sorin, go ahead and do it and make a Vampire. It’s always a 2-for-1 situation for them to deal with it, and it’s another aspect of the match where you can thus gain value. Sideboard-wise, you can go heavy control, bringing out the Seekers, Rabblemasters, and some number of Butchers. 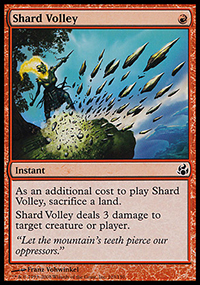 All your post-board removal is great (set aside Erase), and other than them having Stoke the Flames and some sideboard cards for your Planeswalkers, it’s a rough uphill battle to beat you. Yes, they have Jeskai Charm, but you also have Crackling Doom which puts a trump on anything they play while advancing the burn plan. 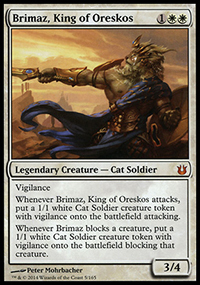 Also, in both the case of Abzan and Jeskai, they often tend to sideboard into a control deck as well, which is advantageous for you in both instances. Against Abzan your tempo is faster so you can get underneath them, and against Jeskai you go over the top. The key against Abzan is just making sure they don’t get to raid a Wingmate Roc, and against Jeskai that they don’t have a crazy burn hand followed by Dig Through Time, but that’s variance that you can’t adjust for. UW Heroic: UW Heroic is the hot flavor of the month, and that’s generally good for you as Mardu has one of the best matchups against it of any deck. Your plethora of early burn spells allows you to kill just about any creature you see, and ultimately drop a threat when you can turn the corner. If you have an opening to remove something, absolutely do so. The UW deck is excellent, and capable of voltron’ing a guy in no-time, so it’s very critical to always try to answer what they do. Oftentimes if you can, play removal at the end of their turn as it will force them to burn spells and mana and let you get the guy on your following main phase. Crackling Doom is the soul-crusher, and often what decides the match pre-board. Both pre and post board, they can still kill you no matter how good your hand is with a huge amount of God’s Willing, Feat of Resistance, and Stubborn Denials, so don’t feel bad if it happens. They have draws that are just unbeatable for every deck in the format. Overall you are heavily favored here, and can again just board the Control plan. Control: Control is one of the tougher matches at times, but very winnable. You play the aggressor, bringing in Thoughtseize, Erase, Utter End and usually removing some number of burn spells. Typically it’s Lightning Strike or Crackling Doom depending on their list. Seeker and Rabblemaster are must answer threats early for them, and if you get to a mid-point in the game where you’re able to land any of your creatures alongside of one of your planeswalkers it’s pretty impossible for them to fight back effectively. Some lists run Perilous Vault, but that’s mostly been abandoned because of how slow it is and rightfully so. I find the tougher lists simply counter most of what you do and then play Pearl Lake Ancient, so usually in those scenarios your two drops are quite valuable and burning them on their end step as often as possible. Temur: Sideboarding against Temur will vary based on their build as it can be all over the place, but usually your plan here is to bring in your additional spot removal spells. You’re not playing Control here, you’re playing full tempo. Play a guy, kill a guy, play a guy, kill a guy, etc, etc. 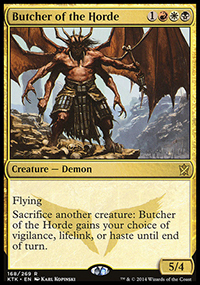 Butcher’s lifegain is incredibly important, as well as trying to get opportunities to play two spells a turn and making sure you’re counting up your damage as often as possible to avoid getting bent by an infinitely large Crater’s Claws. Your planeswalkers are slow here, so usually they’re the first things to cut, making your deck just focus on its low end. Sorin’s lifegain can be valuable, but they’re typically killing a lot of your guys too, so he’s usually too little too late. If you think it’s worthwhile, bring in Thoughtseize, but the lifeloss can be a real killer sometimes. Magma Spray is important to have something to kill Elvish Mystic on the draw or to respond to Boon Satyr if they’re playing it. Feel free to swap these for a few Magma Jets in those scenarios. 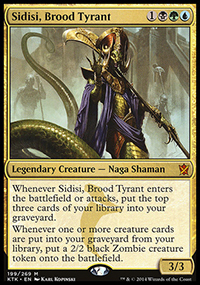 Sultai: I’m still working on my gameplan for the Sultai match, but at this point it’s to be an Aggro deck with access to Bile Blight, Anger of the Gods, and Erase. You are faster than them, you just simply need to avoid them getting Whip or Hornet Queen online. Courser is a tough roadblock too, so basically if you see any of those three cards kill them on first sight. You cannot in any respect compete with their end game, so it’s not worth trying to. End Hostilities is worth bringing in just on the offchance you get behind but see an angle to steal it, but Anger is much better and probably the card that needs to be increased out of the board. Utter End and the better spot removal also comes in, and most of the burn suite aside from Stoke can be cut for everything mentioned. Mardu Mirror: Most builds of Mardu aren’t as burn heavy as you, so you’re taking advantage of that by playing like a Jeskai deck would against them. A lot of Mardu builds will play Hordeling Outburst, which you typically don’t care about as it really doesn’t do anything other than provide food for Butcher (which you’ll kill). 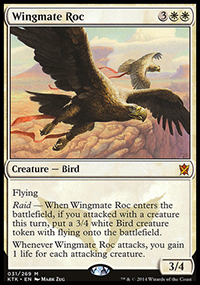 Wingmate Roc can be controlled in this matchup by controlling their previous threats to it. Elspeth is a great card, but she’s slow, and if you get in enough damage with your creatures your burn will typically finish them off before she’s a factor. The Mardu builds playing heavier Planeswalkers or Thoughtseize will take a lot of damage from themselves or not be able to handle two spells a turn very well, so your aggro/burn slant again capitalizes on this. This deck is still in the testing phase, but I’ve been able to get a significant number of playtesting games in both online and in-person with it. So far, its been a fantastic aggressive build that is a smidge faster than some of the bigger GR lists running around and it has some very cool cards for Red mages. There’s just something awesome about the raw power of dropping dragon after dragon and bestowing Boon Satyrs on them. 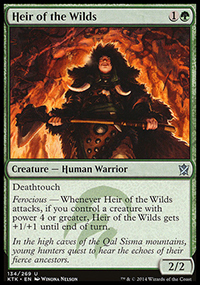 Heir of the Wilds is an incredible two-drop, stymieing the big threats you’ll see in other decks or just becoming a card they can’t handle if it manages to get bestowed. There’s a few odd choices, such as the lack of Rabblemaster or Courser and the increased presence of Phoenix and Chandra. Originally Rabblemaster was just skewed because it was in my other deckbox and I didn’t want to bother digging it out, but ultimately I actually liked the change since I wanted my three drops to be as aggressive as possible and all trigger Ferocious without having to attack. 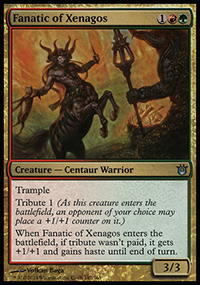 Turns out, Fanatic of Xenagos and Boon Satyr are both incredible, so you should definitely try them in your lists if you haven’t already. 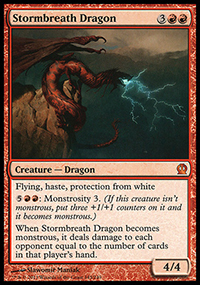 Phoenix is simply the best four drop available in this deck, as this format is still largely vulnerable to fliers and he’s impressive for all of the reasons I discussed earlier in the article. Chandra is here almost solely to make blockers step aside, but she’s also relevant against Aggro and is amazing when you get to play her on turn 3 off an Elvish Mystic. I do want to make some changes yet, probably sooner rather than later. Savage Punch has been surprisingly strong, so I believe a third one is warranted. Crater’s Claws is fantastic late game, but I miss having the extra early burn from my Mardu deck on turn 2, so possibly some number of Magma Jets or even Stoke the Flames could be seen here instead. I still want Crater’s Claws, but it’s probably a 2-of rather than the full playset. Xenagos, God of Revels was just an idea since I remember how powerful the card was a few Standard seasons ago, and while it’s good here I think Stormbreath is the better card. Running the playset of Stormbreaths is taking the more aggressive slant most of the time and Xenagos doesn’t provide any outlier value by being in that slot over him. He’s just a crazy fun card to see in action, but this deck was meant for competitive play. 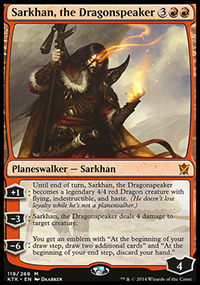 Sarkhan certainly could be an option too, so the 2-2 split between him and Stormbreath is a fair line if you think that is for the best. Abzan: In comes Fated Conflagration, Hunt the Hunter, Burn Away, and Reclamation Sage. Out comes Lightning Strike and Crater’s Claws most of the time. Your burn suite is usually lackluster, and you need to have real answers for their very real creatures. 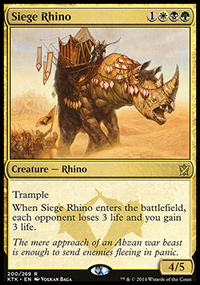 Fated is a great way to at least clear a Siege Rhino off the board, along with Courser or anything else annoying. You’re a quicker deck than them, and you have Heir of the Wilds that can fight any of their creatures for a kill. 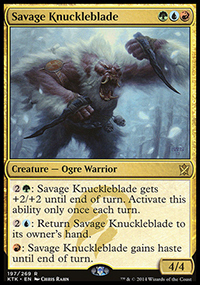 Oftentimes, even just Savage Punching with Ferocious on your Fanatic of Xenagos will take the game since having a 6/6 Trample and killing one of their guys is the absolute best. Jeskai: Against Jeskai you’re playing tempo wars, so stuff like Searing Blood and Magma Spray can be solutions to falling behind. Xenagos and Stormbreath can both be slow, although the latter’s protection from white comes into relevance in many games (especially since they can’t Jeskai Charm it). You can also bring in Fated Conflagration if you want bigger removal and filtering depending on their build or Anger of the Gods if their build is mostly small. 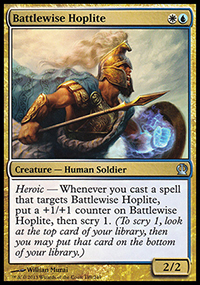 UW Heroic: A good friend of mine plays this, and the first time he sat down to play against my GR deck he thought it was going to be a cakewalk. A match or two later and he realized how close it was, and that’s largely because you play more burn and are more aggressive than most GR builds. Crater’s Claws is at it’s lowest point here, as it just takes too long to kill many of their guys. Magma Spray, Searing Blood, Anger, and Reclamation Sage all clean up the slack in games 2 and 3 and allow you to have the right answers for their guys. The beauty of this deck too is that a lot of your guys have either haste or flash, so if they don’t do much on their turn you can usually play a guy, steal their tempo, and then remove the threat they make on the next turn. Heir of the Wilds is valuable when they don’t have Stratus Walk or Aqueous Form, and Chandra can get you past a voltron’d creature if the board has been stalled. Control: I would like more cards for this matchup, although at the very least you are so aggressive that I believe this will often be the difference. I haven’t played many games, so feel free to do your own testing, but the idea is that Ashcloud Phoenix if resolved is very difficult to answer, and post board you can bring in Reclamation Sage, Fated Conflagration, and Firedrinker Satyr to both be faster as well as have solid answers for their Planeswalkers. Savage Punch and any combination of burn spells are the usual cuts. Temur: My same friend who plays UW Heroic asked me why I was playing straight RG over Temur, and I think the honest answer is the importance of your life total. Temur’s manabase is very greedy, with tons of painlands and a heavy reliance on hitting an extra color. In this GR list, you only run 2 Mana Confluence, and you get access to 4 lifegain lands as well as just being generally fine with what colors you need on a given turn. 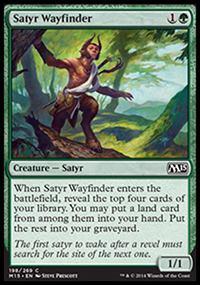 Additionally, Temur lists are often running extra mana rampers, such as Caryatid or Rattleclaw Mystic, versus you being able to just run threats. It is sad to miss out on some of the fantastic blue cards such as Knuckleblade, Stubborn Denial, and Temur Charm, but you largely make up for these with similar ones of your own. In this match I usually cut Crater’s Claws, the top end of the creatures, and Chandra to make room for Conflagration, Searing Blood, Magma Spray, and Hunt the Hunter. Sultai: I haven’t played this matchup yet, but the plan is Anger of the Gods, Magma Spray, Searing Blood, Reclamation Sage, Burn Away*** and possibly Fated Conflagration. Cuts would likely be the burn spells that don’t do anything, such as Lightning Strike and some number of Crater’s Claws. Mardu: Against Mardu you’re the aggressor and generally just need access to Searing Blood out of the board to speed your deck up a smidge. 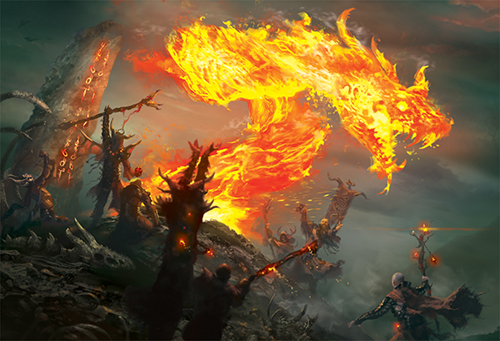 You can also bring in Fated Conflagration if you believe they are on the Elsepth/Sarkhan plan. Typical cuts are Chandra and/or Savage Punch or Crater’s Claws. I played in my local store’s first StarCityGames Super IQ tournament this past Saturday which was the Modern format. I was very on the fence about it because of how unfair I think Treasure Cruise is along with Delver, but I didn’t think it made much sense to miss out on a hometown tournament at my favorite place to play, Mox Mania. We ended up with an even 50 people, and had 6 excellent rounds of swiss before a cut to top 8. Treasure Cruise is certainly powerful, and if you have an idle turn to cast it you are generally going to win the game. 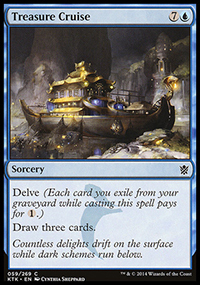 The problem is, Burn is trying to kill very quickly, usually by turn 4 or 5, and taking that simple act of casting Treasure Cruise is often the difference between winning and losing. That said, the card is definitely busted and a whole lot easier to cast in UR Delver, so there are many circumstances where it’s just the best thing you can possibly be doing in Modern. 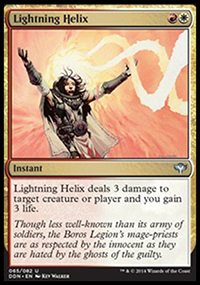 Lightning Helix isn’t a great card for burn, but it’s a solid mirror match card or against other Aggro decks. Running it maindeck over Treasure Cruise means you have room in the sideboard for more stuff (generally) since a lot of times Helix will be your sideboard card when you’re running Cruise in the main. 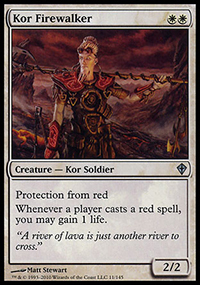 Kor Firewalker in particular was enticing after watching Caleb Durward’s videos from Channel Fireball and seeing results on Magic Online. I know I personally can’t see many games where a Burn deck beats Kor Firewalker, and even Delver is situationally dead to it outside of a few lines of play (Vapor Snag, life totals, etc). I tried Caleb’s “RW Solution” deck, but it was way to oriented towards beating Burn and Delver and was absolutely terrible in a lot of other matchups. Still, this experience helped me in leaning my build towards something involving his suite of metagame-based cards. I sleeved up Treasure Cruise, arrived on site, and took a look around. About a dozen or so people were there, and all of them were playing Delver, Affinity, Burn, or Twin. That made it easy for me, despite how powerful Cruise can be in a mirror match when it goes for a while. I quickly unsleeved and switched to the Cruise-less build. A friend of mine Paul was sitting talking with me, and him and I had been working on Burn the previous few nights, so we looked everything over and both rolled with basically the same 75 cards give or take 1-2 cards based on availability. I sadly finished 3-3, with most of my losses being incredibly close, often involving my opponent being at 1 life due to a play mistake or just drawing lands instead of the one burn spell needed, but my friend Paul was able to make top 8 after going 4-1 and drawing in. He played against Zoo in the top 8 and lost, but game 1 was close where he just needed 1 more burn spell for the win and game 2 he had a terrible keep which flooded out completely. I think we both learned some lessons that day, but overall were both very happy with the deck. It flowed nicely, and despite wanting a few more one mana burn spells with all the Spell Snares running around, it’s a great one to go forward with. The fetches are all interchangeable, as long as they’re Red, so feel free to use whatever you have. This list is clearly oriented to attack mirror matches and Delver, but it’s also just about as fast as the old build I played against the rest of the field. The Bump In The Night version is extremely vulnerable in the previously mentioned matchups, so I don’t think it’s too viable at this point. Granted, you have three colors here, but having the full playset of Helix, Blaze, and Crack goes a long way towards winning matchups of attrition. And if there’s one thing that’s really important, it’s that Destructive Revelry is an allstar. That card has been fantastic in this list, and it gives you outs to so many different decks in Modern that the ol’ Smash to Smithereens does not. Having enchantment hate in what is essentially a Mono Red deck is unbelievable, and it often lets you just blow your opponent out because they don’t expect it either. From destroying Leyline of Sanctitys to Courser of Kruphix’s to Splinter Twins to Shrieking Afflictions, it serves a great many purposes and provides unparalleled solutions. It’s also just nice as a four-of against Affinity, which was a difficult matchup regardless of the kind of Burn you were playing. The biggest changes from what I played at the IQ and the current list are the Volcanic Fallouts and Combusts. I played a combination of Fallouts, Electrickery, and Sudden Shock at the IQ along with cutting 1 Combust for a Spellskite. Those other cards aren’t bad, but Fallout is great against Delver and Twin is a tough matchup at times that I wanted the best answer for which is usually Combust. Spellskite is good against Twin too, but it doesn’t prevent them from killing you in other ways and it can be countered. Furthermore, Combust does double-duty against UWR, killing Collonades, Baneslayers, and Restoration Angels. When I played today, Fallout happened to be good against Merfolk too, and it’s still a relevant card vs Affinity and most low-end Aggro matchups, as well as being able to kill Geist of Saint Traft. My local meta has one of the better Miracles players out there as I’ve mentioned in the past, so having the extra Vortex and Chaos Warp is mostly for that reason. Feel free to make those Searing Bloods or more Fallouts if this is not how your Meta is. I don’t have a sideboard plan laid out for Legacy, but it’s a little more straight forward than Modern. Skullcrack IMO is stronger in a lot of matchups than Flame Rift, so that’s the big deviation from Sullivan’s list, but Flame Rift does have value in the unfair matchups or against Leyline of Sanctity. Treasure Cruise is obviously still an issue and an eyesore in the format, but I think those bannings are coming sooner rather than later. It’s a hot topic, and everyone has their reasonings, but this is my two cents for what it’s worth. It’s probably sticking around in Legacy, but I can’t see a Modern ban not happening.